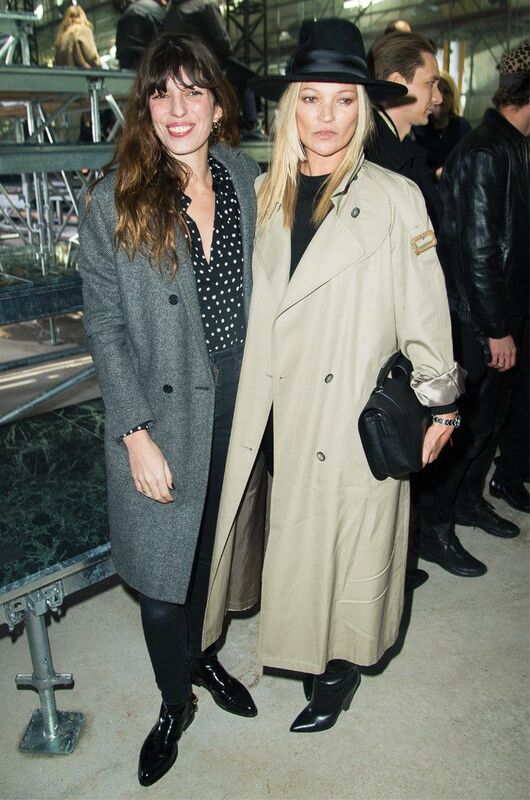 Yesterday Kate Moss sat front row at the Saint Laurent show during Paris Fashion Week and proved that an oversize classic trench coat is still the ultimate spring saviour. Kate wore a detective-esque raincoat skimming her calves with the cuffs rolled up. She paired her coat with black timeless accessories, including a top-handle handbag, a black trilby hat and leather pointed-heel boots, and a simple black jumper and black leather shorts. If you don't already own a classic trench coat, this is the time to invest—and we've found the dream style at Joseph. Scroll below to see how Kate Moss is styling her trench coat. For more of Kate Moss's style, see her classic '90s outfits that still work today.